Jump in a big glass jar with really comfortable seats and whirl away like a helium balloon over the city. That’s really what it feels like flying R44 Robinson helicopter. And what a fantastic feeling of flight that is! 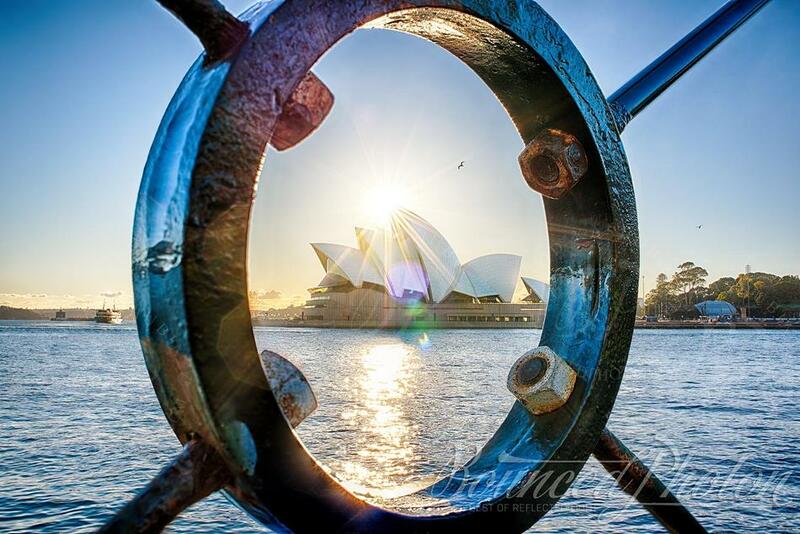 Sydney, with its salty air, ocean breeze, its busy mornings and lively rush on Friday nights is a live community. 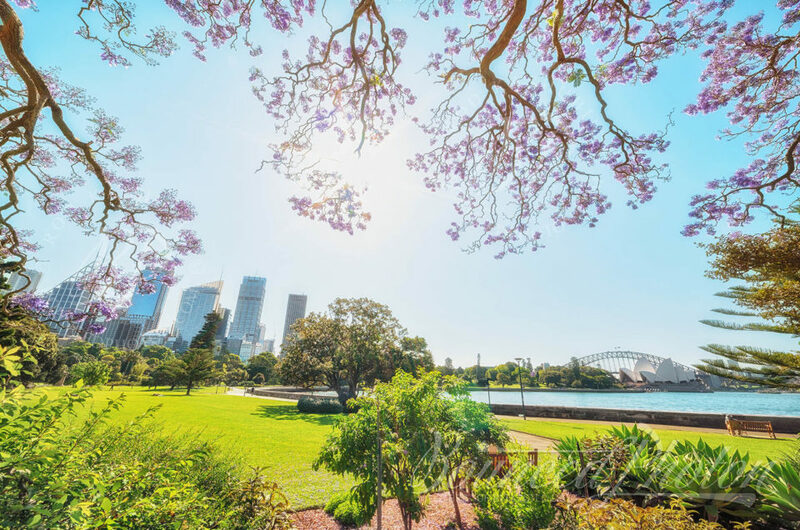 There is always something happening, something entertaining, but it is great to get away from it and look at things you are accustomed to from a different angle. Therefore, on a Wednesday afternoon we made our way to Bondi Helicopters headquarters. The weather was perfect, blue skies, idle windsock and few clouds to fill the blanks. Our pilot Cameron greeted us at the hangar 357 with a big smile. What a beautiful day. And apparently you don’t have to crouch. Why they all do it in the movies then? They must be skipping on the instructions. Alright, we got fitted with the life jackets in case we were up for a swim. It is a whale season folks, so you never know where you get lucky. 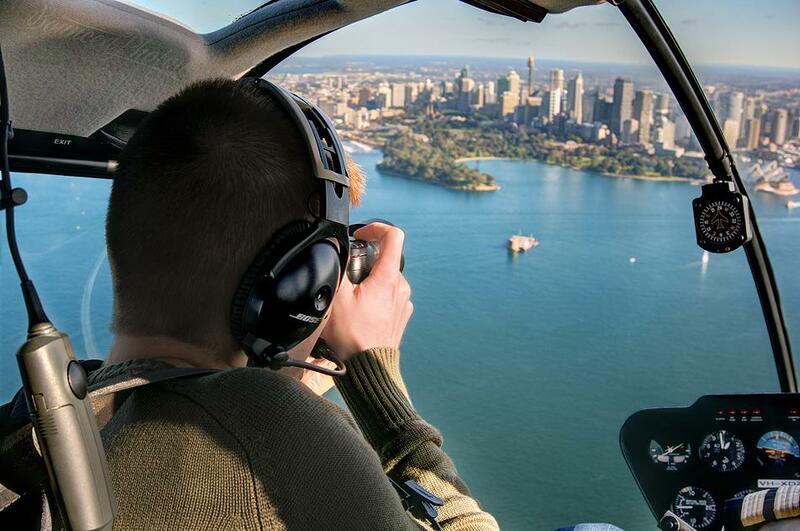 Helicopter flight over the Sydney Harbour and then a whale ride to the shore? One hell of an experience! But there could be sharks too, so maybe not. 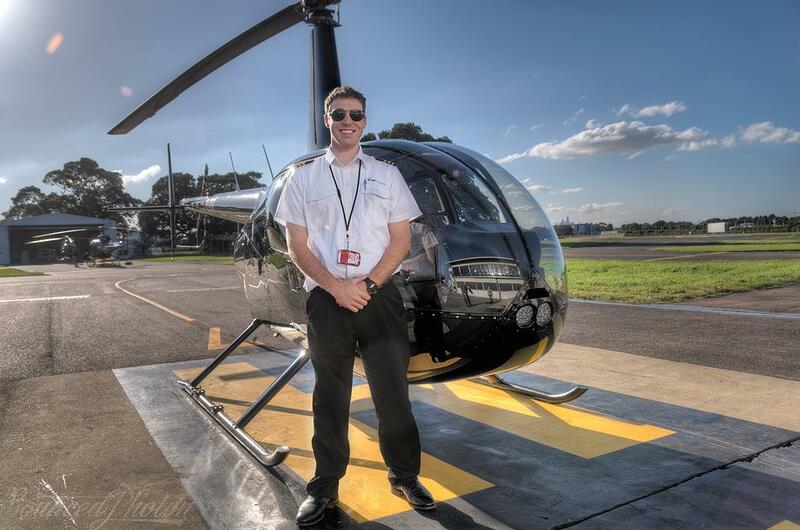 Headset on, camera in hand, R44 Pilot’s Operating Handbook in the door pocket and we are all set to go. A bit of chit-chat with the guys at the Air Traffic Control and we are cleared to take off. I did not understand a thing, I must say, but it all sounded very relaxing and easy going. Off for a flight? No worries, enjoy. That’s how I would put it without all the jargon. The first surprise I’ve got was during the first 5 seconds of the flight. Everyone knows that when a plane is taxing to the runway it does that while driving on the ground, physically. When a helicopter is taxing to the helipad it is actually flying a meter off the ground. And that takes some skills! The flight itself was amazing. 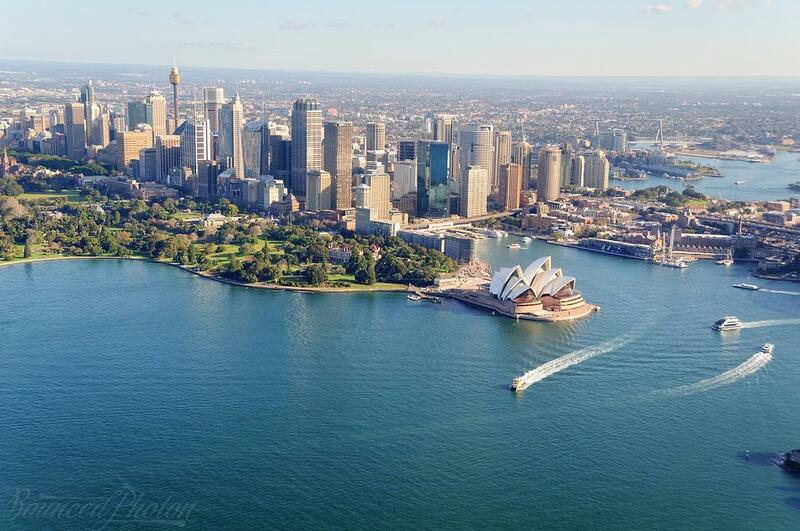 The views of the Sydney Harbour from the air are breathtaking. And the Robinson R44 is a perfect for that with its large for not-to-miss-a-thing view. Get yourself the best camera you can. You are up for an amazing photo experience. If you cannot buy it, rent it for a day from a friend or a shop. Take as many pictures as you can. And shoot some video too. You have two hands, use them! Helicopters are much more manoeuvrable than planes, seasick (helisick?) is a norm, or so they say. In any case, have your little brown bag handy and don’t distract the pilot. Bondi Helicopters have few parking spots right near the hangar, very handy. Time is going to fly very quickly (time flies on helicopter flight, that’s right). So have fun, enjoy each moment, and take nice pictures. It is actually possible to spot giraffes in the Sydney Zoo from the helicopter. Elephants, only if you are lucky. 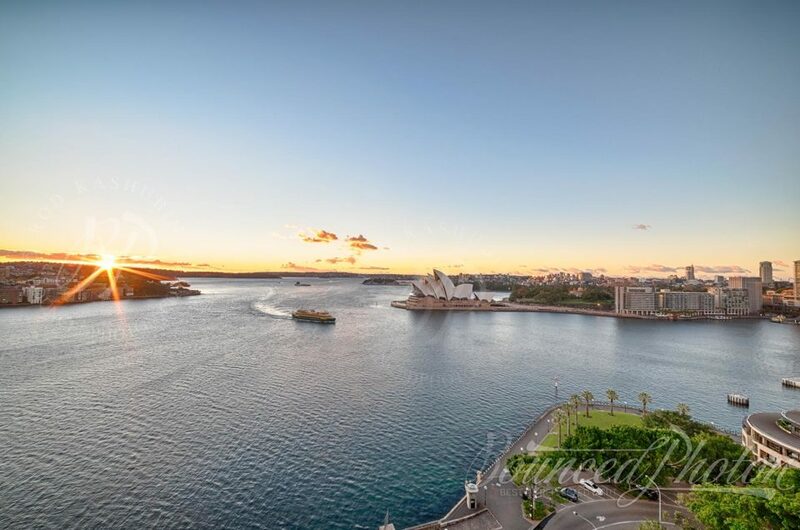 No, they don’t fly under the Sydney Harbour Bridge, I’ve asked. But I put it as a suggestion.